Do you find that you're always busy "fundraising" but just not getting anywhere? Do you get frustrated that others are succeeding with their fundraising, but you just never seem to achieve the same success?! Well maybe it's time for a BIG change? What it is time for, is to start applying the Slight Edge to your Fundraising! 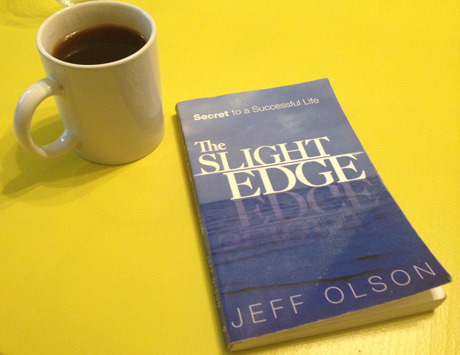 So what exactly is the Slight Edge? 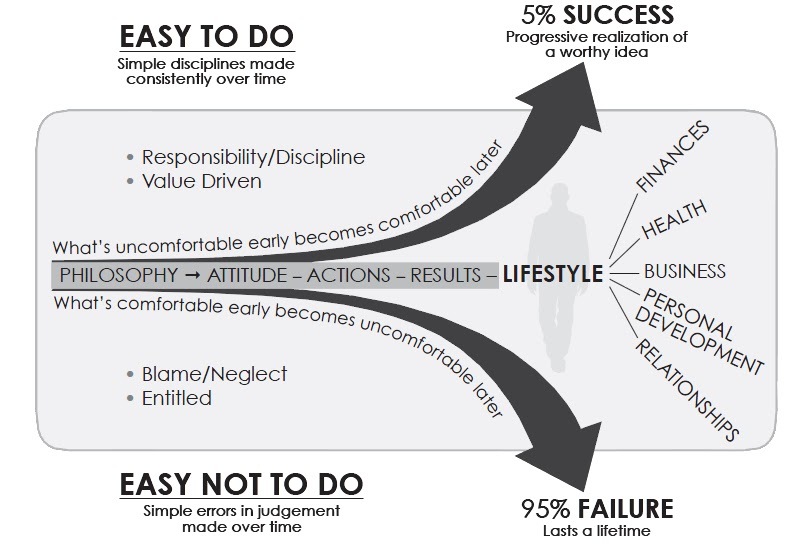 In Jeff Olson's book, "The Slight Edge," he describes it as a principle which states that success (in any aspect of life or industry) is not achieved through huge singular actions, but rather small consistent daily actions and habits that compound over time into huge success (or failure if they're the wrong habits). Essentially actions that are easy to do - but just as easy not to do. In fact, most often they are just a little easier not to do. And the Slight Edge can work for, or against you, depending on what daily habits you develop. The right habits will increase your success and the wrong habits will do the opposite. Doing 20 minutes of exercise today is not going to make any drastic change to your health or help the scale drop. It's easy to do - and easy not to do. Even after a week of 20 mins every day you may not see much of a difference. But compound those 20 mins every day over time, and in a month or two you now start noticing significant changes to your fitness and your weight. Eating a greasy fast food hamburger today is not going to give you a heart attack or damage your health in any significant way. But consistently eat them, and over time all that processed fat compounds into a dangerous situation for your health. So How do you Apply The Slight Edge to Your Fundraising? Firstly you need to work out if the Slight Edge is currently working for you or working against you? Ask yourself, "What are my daily habits and actions? What do I repeatedly do every day that contributes to the growth and strengthening of my cause's fundraising, and to my fundraising knowledge and ability? And what am I doing that is not contributing to growth and is in fact wasting time?" Identifying what does benefit towards your fundraising success and what does not, is the first step towards improving your fundraising ability and success. Continue and improve what is benefiting, and discard what is not. Then you need to start identifying and developing actions and habits that you don't currently have, that will contribute to your fundraising success. What about reading one article on fundraising, from a top expert or blog, every day? Or what about 15 minutes of reading from a quality fundraising book every day? Easy to do - Easy not to do. Then compound all that reading and learning over a year, and there's no ways you won't have significantly increased your fundraising knowledge and ability! What about as you get into the office every morning, you pick up the phone and call 3 donors. Thank them for their donations, ask them what made them donate, how they think your organization could better serve its purpose, and how you could better communicate with them. And honestly, how hard is it to make 3 calls to 3 donors in the morning before anything else... Not very hard! But it's also just as easy not to make those calls. So you make 3 calls today and now you have 3 more donors who feel appreciated, heard, and important to your cause - And who are now more likely to donate again and stay loyal to your cause. Wow... 3 whole people? Not an incredible amount right?! But... do that consistently for a year. Now you've connected with an additional 750 plus donors (depending on how many days you work a week), simply by taking a few minutes every morning to make 3 phone calls before you start doing other work! Easy to do, easy not to do... but with a huge difference in the long term! Get a copy of The Slight Edge, read it (and re-read it at least once every year) and start applying the simple habitual principles to your life and to your fundraising. Making sure that the Slight Edge is working towards your success and not against it! So what other actions can you do, that will contribute to your fundraising's slight edge success? Create a habit of celebrating every little success. When you reach 100% board participation, celebrate it! Perhaps with a pizza party at your next board meeting, or by breaking out a bottle of champagne. A board member has brought in three new donors? Send them a thank you gift or present a token of your gratitude publicly at your next board meeting. One of your donors upped her monthly $35 gift to $50? Cupcakes for all! Every day, celebrate what you want to see more of. It will create the habit of gratitude and generate camaraderie. 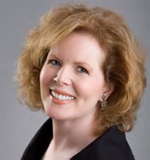 Pamela Grow is a highly acclaimed and experienced fundraising expert and adviser. Her weekly small-shop newsletter, the Grow Report, is in my opinion the best fundraising newsletter available. I also recommend you check out her books (in particular Simple Development System's Successful Nonprofit Fundraising and her Free Nonprofit Storytelling Field Guide and Journal). Read my interview with her to find out more. Some people have said that giving one's hard earned money to a charity is irrational behavior. After all, what does a donor get in return for their money? Unless they are "buying" something at an auction, or are giving a certain dollar amount to get a "free" gift, do donors really get anything of value equal to their donations? Donors walk away with a story. Stories are currency. When you can match up a story to a potential donor, then getting a donation is much easier. Something you can do every day, or several times a week, that will help you connect more deeply with more potential donors is to build up your story library. Right now you may be thinking; "Where do I find stories that will resonate with potential donors?". I get that question a lot. My answer is; "Stories are all around you, but you may have to track them down, and even be a little sneaky at times." The first one is your staff. The second is your volunteers. And the third one is your current donors (after all, they donated to you because of a story they heard, or because of the story they told themselves about your organization). Just talk to one staff member, or one volunteer, or one donor. Ask them to tell you their favorite story about the impact your organization has in the community. If you start to do this consistently, you'll end up not only building up a robust story library, but you'll also gain insight into which types of stories resonate with different types of people. This way you'll be better able to match stories up with potential donors. Now here comes the sneaky part. You may run into staff members who say they don't have time to relate a story, or perhaps they say it's not their job to give you stories. So, instead of trying to educate them as to why stories are needed for you to go out and raise money, just ask them about a success they had this week. People will brag if you ask them. For example, let's say you are at an organization that teaches hard of hearing children to communicate. You could ask a staff member who works with the kids about their day. "Did any of the kids smile today?" "Was there one child in particular who's smile seemed extra special? What happened that made the child smile? Could you see a spark in her eyes?" So, instead of asking "Can you tell me a story? ", be a little bit like a reporter and ask specific questions that will draw the story out. This also works well with volunteers and current donors. You'll build a robust story library. You'll discover what stories resonate with different people. You'll end up feeling more energized each day because of all the impact you're hearing about… that you are helping to create. Christopher Davenport has been a filmmaker/storyteller for over 20 years. He worked on feature films in Hollywood and owned his own documentary production company. He is the author of the best-selling book, "Nonprofit Storytelling for Board Members" and producer of the weekly video series for the nonprofit community, "Movie Mondays for Fundraising Professionals". How about you? What's your Slight Edge tip?